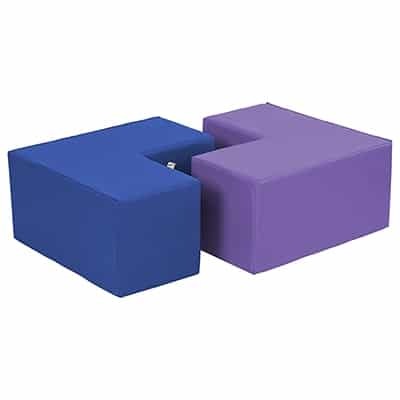 Create a comfy, customized sitting area with these seating blocks. Use the versatile L-shaped seats as individual seats or work surfaces, or push the interlocking pieces together to form a variety of shapes. You can even tilt them on their side for use as soft chairs with high backs! This 2-piece set comes in blue/purple. Q Do you accept Purchase Orders?